Even though this shoe has already come out in Spring 2016 I had not known about it ... and it's still available. The New Balance 868 is completely leather-free. 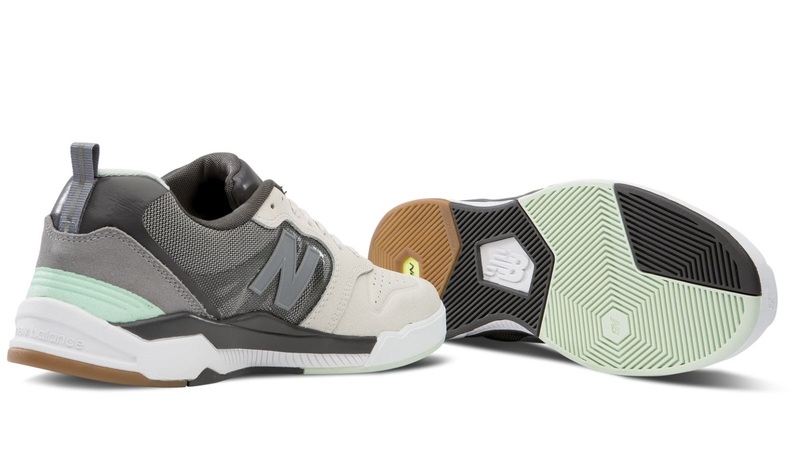 The upper is completely synthetic in all colourways. 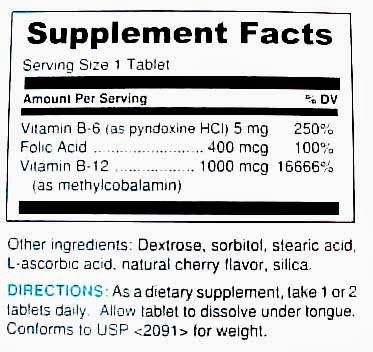 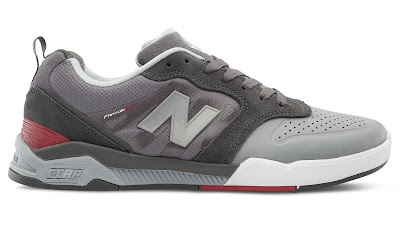 The very friendly (and fast) New Balance customer service stresses that New Balance cannot offer any information on whether the glue used might or might not contain substances of animal origin. 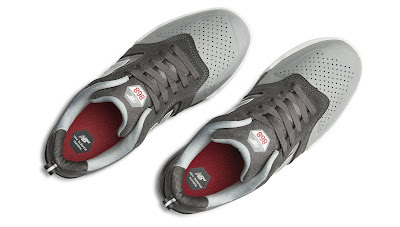 I personally am not too fussed about the glue, and I consider any guarantee from any company that the glue in their shoes is certainly vegan at least semi-dodgy. "Thank you for reaching back out to us in regard to leather free skateboard shoes [...] There is no guarantee that a given model with a synthetic upper will be completely vegan as we use different types of adhesives across all of our global manufacturing sites and these glues may or may not contain animal byproducts. 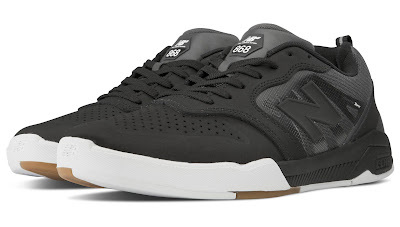 Some reviewers from skate shops have mentioned that the 868 looks more like a running shoe than a traditional skate shoe. 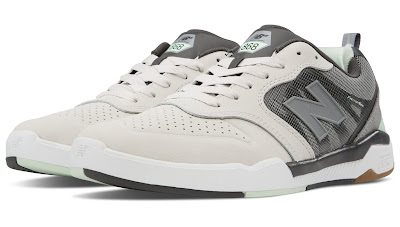 Looks a lot more similar to an Emerica Reynolds than an actual real running shoe to me. And proper running shoes are a lot better than skate shoes for running away (from the cops, neo nazis, or yourself). 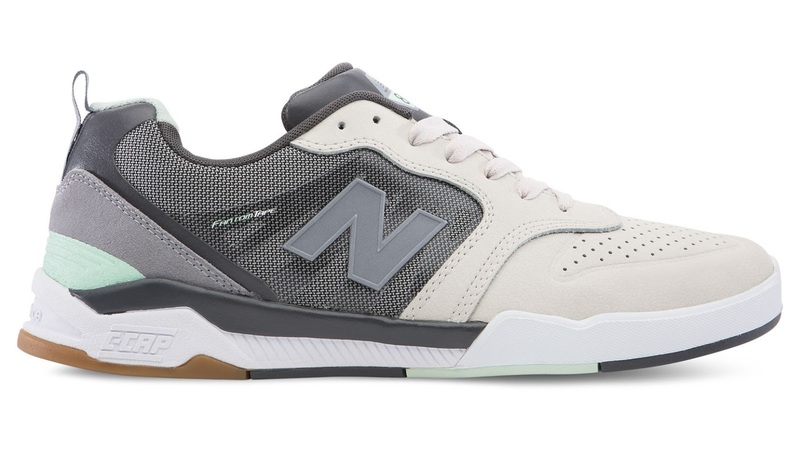 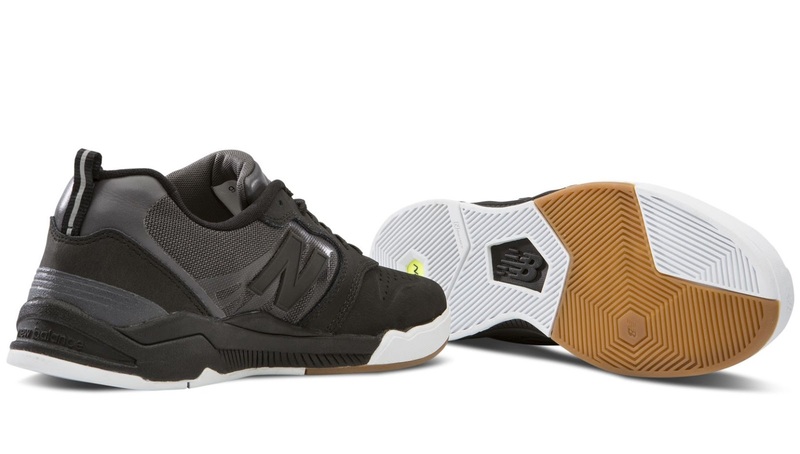 "New Balance numeric introduces the 868, our most technically advanced shoe to date. 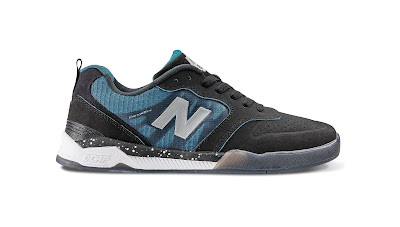 After analyzing data collected by New Balance’s sports research lab, we designed the 868 with a dual-durometer C-Cap® midsole to provide cushioning in the high impact zones without sacrificing board feel. 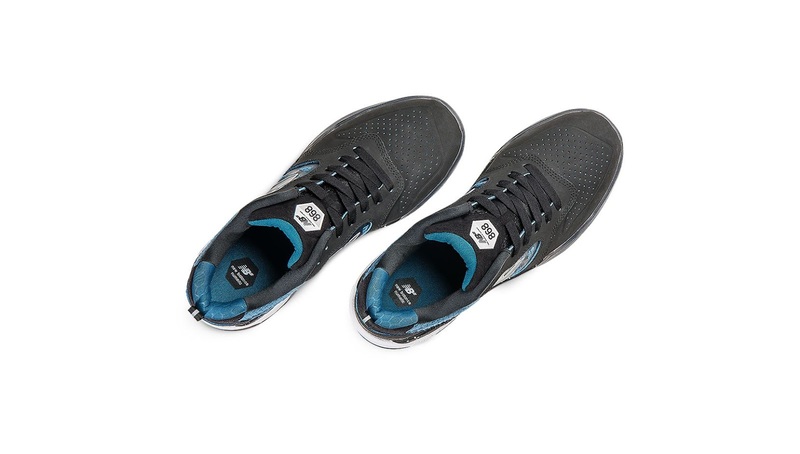 Fantom Tape is used to add support to the breathable mesh quarter panels. 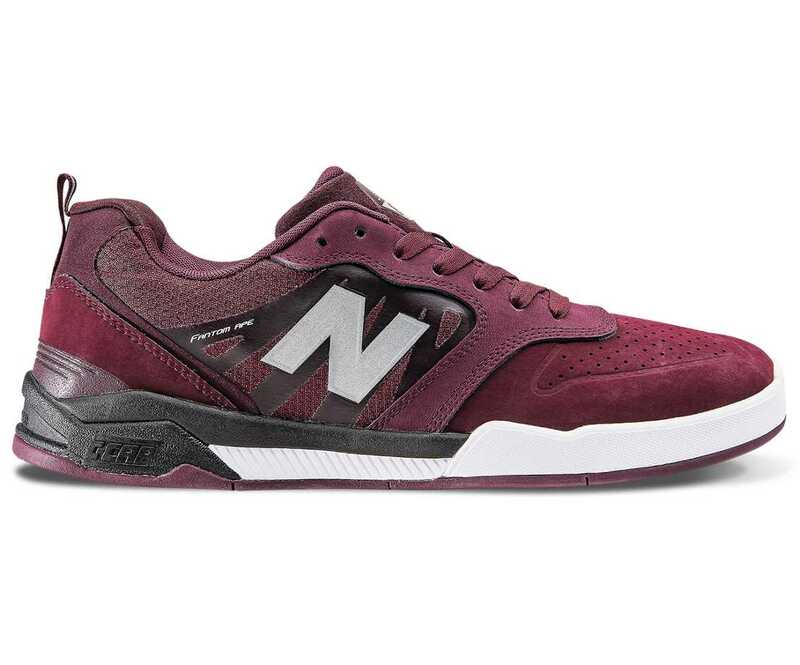 Check out this skate wear test of the NB# (= New Balance Numeric) 868. It seems to be pretty durable. 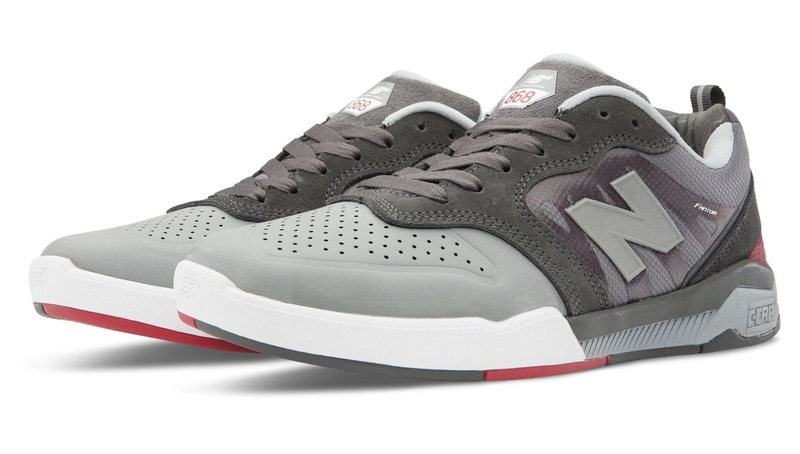 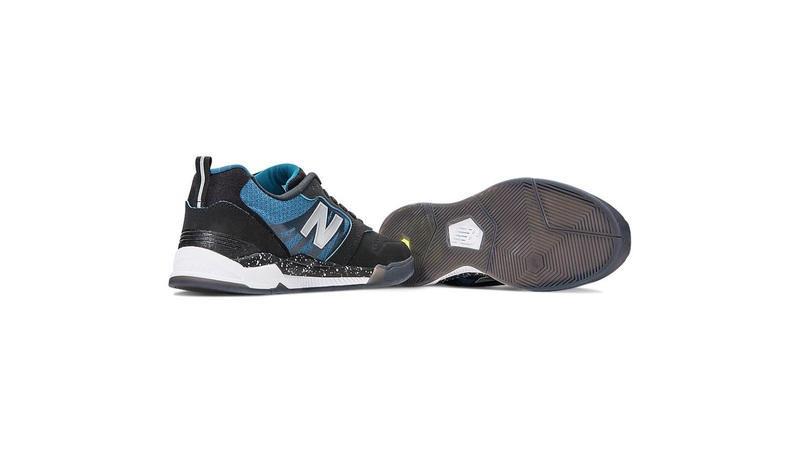 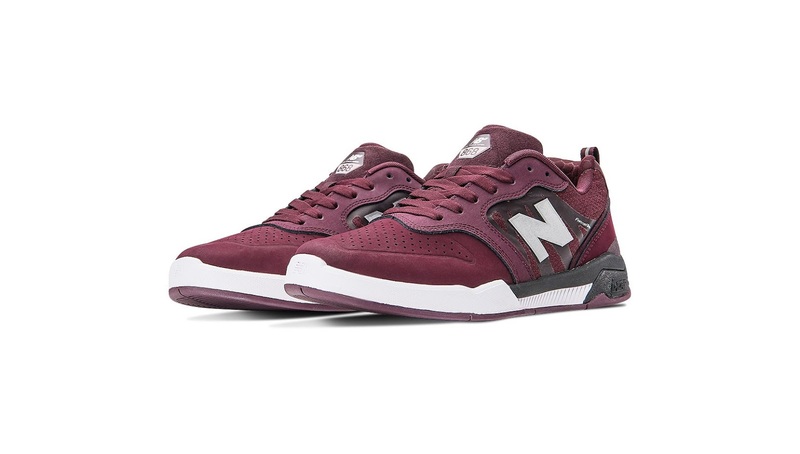 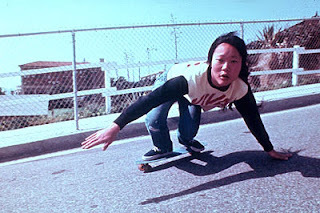 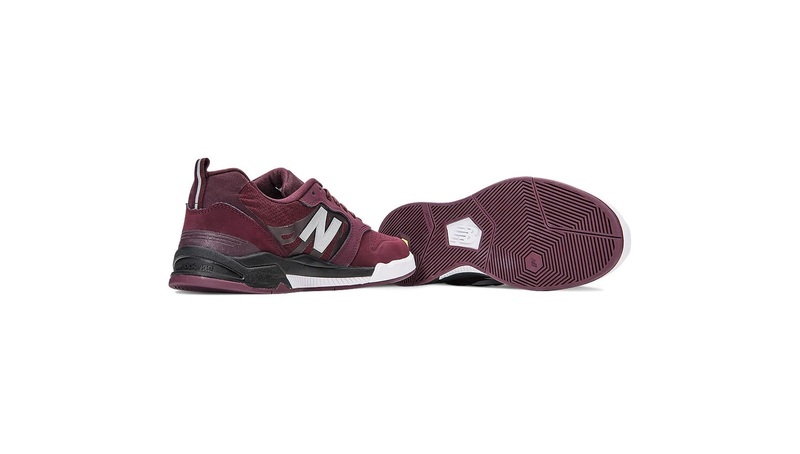 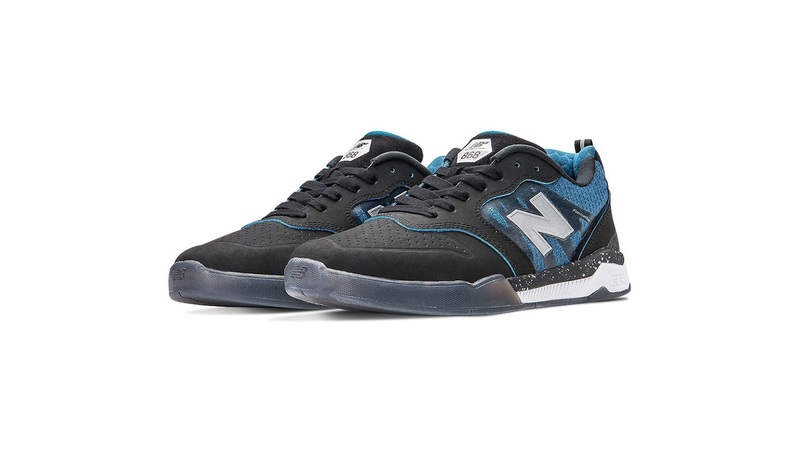 "Please Note: NB# are performance skate shoes and have a narrow fit. 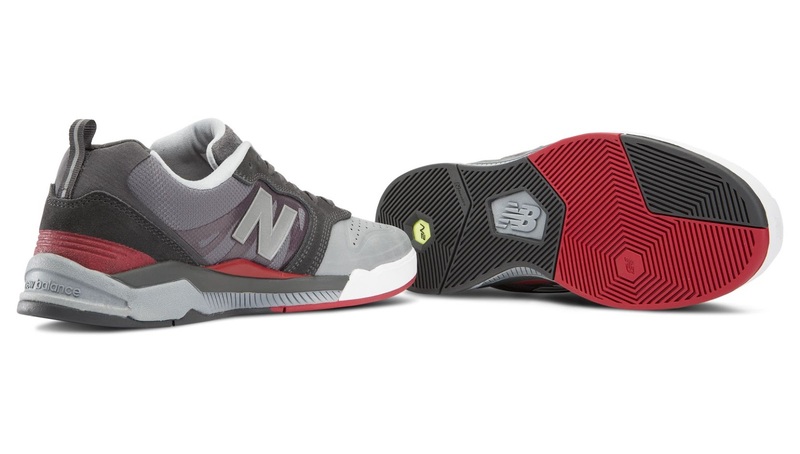 We recommend ordering 1/2 size bigger than you do in regular NB lifestyle shoes. 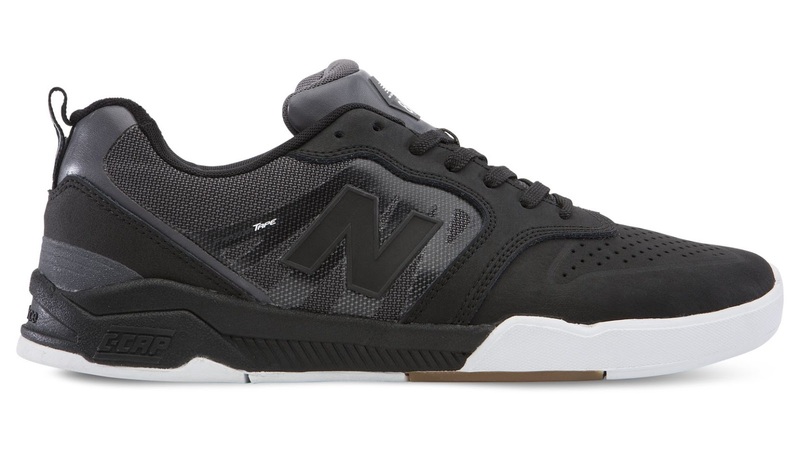 Pro Skateboarder Arto Saari’s demands of a shoe culminate in the New Balance Numeric 358. 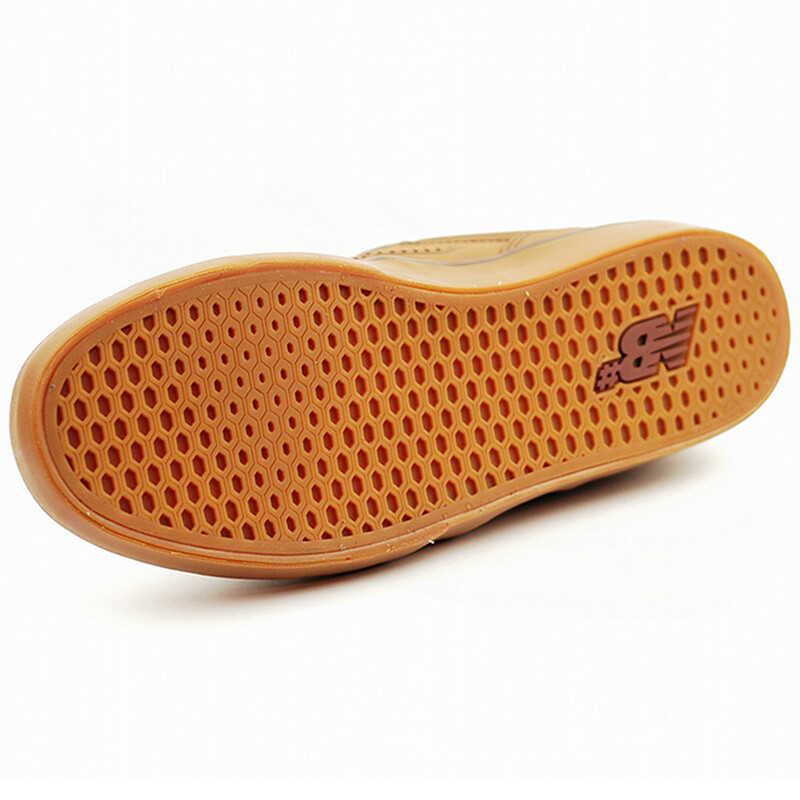 A clean, asymmetric design with subtle details to enhance breathability, grip and board control, the 358 skate shoe sits on a modified version of our reliable vulcanized soles for superior board feel. The 358 features a polyurethane insert for additional support and cushioning, and is constructed from premium suede. 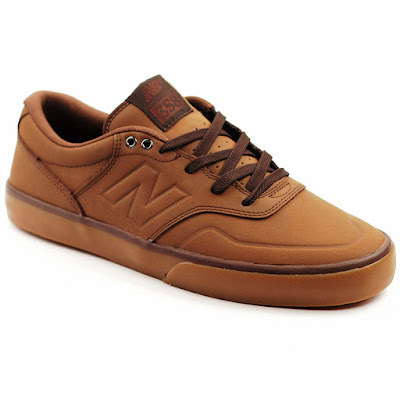 Style NM358BRN (Saddle/Gum) has a synthetic upper"